A professor of Government and Politics at the University of Maryland, Eric is the author of The Moral Foundations of Trust: in my opinion, a superb work. There’s more, much more, but you can get it at his website. CHG: Dr. Uslaner, thanks so much for taking the time to be with us. I’m delighted to be able to share a taste of your work with TrustMatters readers. Let’s start with something deceptively simple: what is trust? EMU: There isn’t one concept of trust. Most of the time we talk about trusting someone to do something specific—do I trust my doctor to take care of my health? I don’t ask if he can be trusted to paint my house. But there is also a form of trust that doesn’t depend upon evidence or experience—what I call “moralistic trust.” This is the belief that we can trust people whom we don’t know and who may be different from ourselves. This is the sort of trust that helps societies solve key problems. It is more based upon our belief that we ought to trust people—the Golden Rule—than our experiences with people we know well and who may look and think like ourselves. 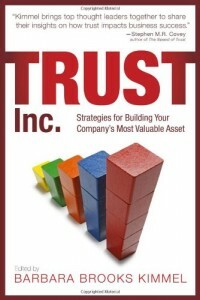 CHG: Why does trust matter and why should we trust people we don’t know? EMU: Trust leads to many positive outcomes. Trusting people are more tolerant of people unlike themselves. They are not more likely to have friends or to join groups—misanthropes have friends too and we all tend to join groups of people just like ourselves. But trusting people are more likely to give to charity and to volunteer for causes that help people who are different from themselves. And trusting societies are less corrupt, have lower crime rates, are more open to trade, and have higher levels of economic growth. They are more open to globalization and new technologies. Such societies also have higher levels of internet usage and scientific innovation. Trusting people are more accepting of risk. They may be more vulnerable to risky situations, but they are also in the best position to profit from taking greater risks. Mistrusting people may protect themselves by avoiding risk, but trusting people are the ones who will reap the biggest profits. CHG: Aren’t we safer trusting people like ourselves? EMU: If we only trust people like ourselves, we miss out on the best opportunities. Many years ago Mark Granovetter wrote about “the strength of weak ties,” where we are more likely to prosper by dealing with people we may not know well. Ronald Burt has written about “structural holes,” where open networks lead to far better outcomes than closed networks. The companies that perform the best generally bring together people of different backgrounds so that each can learn from each other. If we only trust people we know—or people like ourselves—we risk the problem of “groupthink,” where we become convinced that our positions are correct because our friends and colleagues agree with us. There is no corrective for bad advice. Putting trust in people who are different from us is a stronger path to innovation and prosperity. CHG: Are all types of trust equally good? EMU: Aside from “strategic trust” (or trust based upon evidence to do specific things), we also have generalized trust—trust in strangers who may be different from ourselves—and “particularized trust,” when we only trust people like ourselves. This in-group trust is far more common in the world—and it has negative consequences. CHG: Negative consequences–interesting. So not all trust is positive? EMU: That’s right–particularized trust as a substitute for generalized trust is a negative for a group. If a group limits its trust, it results in closed minds, cultures, and economies. 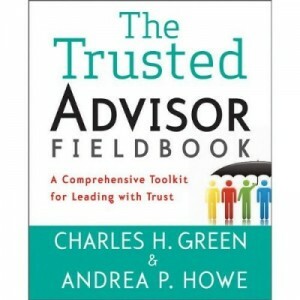 CHG: What first drew you to the topic of trust? EMU: I first got interested in trust when I was looking for an explanation as to why there is so much incivility in Congress. Congress, I argued, is much like the rest of us—the incivility in Congress reflects the declining trust among the public. CHG: Are some groups of people more trusting than others? EMU: The most trusting people are the Nordics—both in the Nordic countries and here (in Minnesota and the Dakotas). The Nordic countries have a long history of greater equality and that is why they are the most trusting. CHG: What does the Bernie Madoff saga tell us about trust? EMU: Not that much about trust in people, but more about trust in institutions—especially trust in financial institutions (banks, brokerage firms) and to some extent trust in government (for not being on top of the case). CHG: Is it true that we live in a time of declining trust? Trust in what? EMU: There has been declining trust in government for many years, but trust in government is cyclical. It was very low in the 1970s but revived under Reagan, then fell, and came back under Clinton, and then fell. Trust in government reflects our level of satisfaction with the economy and our international stature. Trust in people has been declining since the 1970s and has not revived at all. Trust in people tracks the increasing level of inequality in the US very strongly. CHG: What can be done by business or government to increase trust? EMU: Focus on two key things: Inequality and education. Business isn’t going to like the argument that it must take steps to reduce the gap between the rich and the poor, but this is the single biggest factor in whether societies are more or less trusting—over time in the US, across the American states, and across countries. People don’t see a common fate with each other when inequality is high. Business can take a small step in the right direction by limiting the huge disparities in salaries. The huge bonuses investment houses have been giving their employees after getting government bailouts bring inequality to the forefront of people’s attention. These firms are creating social tensions that may come back to bite them. Government needs to focus more on inequality. Education is the single biggest individual factor leading to greater trust for two reasons. First, higher education brings us in contact with people of different backgrounds and exposes us to the roots of different cultures. So more highly educated people are more willing to accept people of different backgrounds because they understand cultural differences. Second, universal public education leads to lower levels of inequality–and also to lower levels of corruption (as I show in my book, Corruption, Inequality, and the Rule of Law). Greater equality and lower corruption foster trust in people who may be different from ourselves. But neither can you build it so easily. You need to do it early, and you need to get kids to interact with people of different backgrounds. CHG: Eric, thank you so much for taking the time to share your research and thoughts with us; it is poweful stuff, and I deeply appreciate it. This is the third installment of Trust Quotes, our series featuring interviews with leading thinkers and practitioners in the world of trust: people who apply trust in powerful ways in business and society. This is number 3 in the Trust Quotes series.